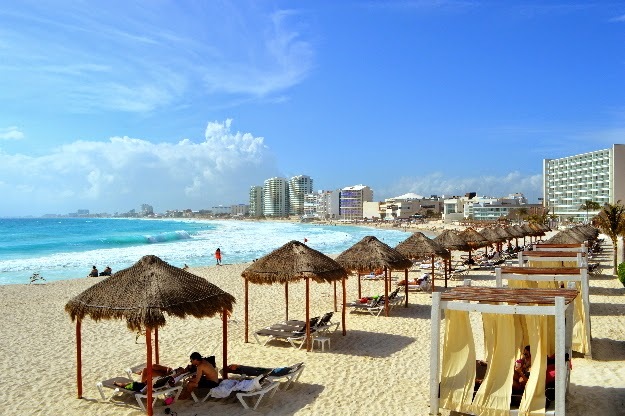 Famous for being a vacationer’s paradise, Cancun offers an array of ritzy resorts along soft white sandy beaches and warm, crystal blue water that any sun worshiper would fall in love with. 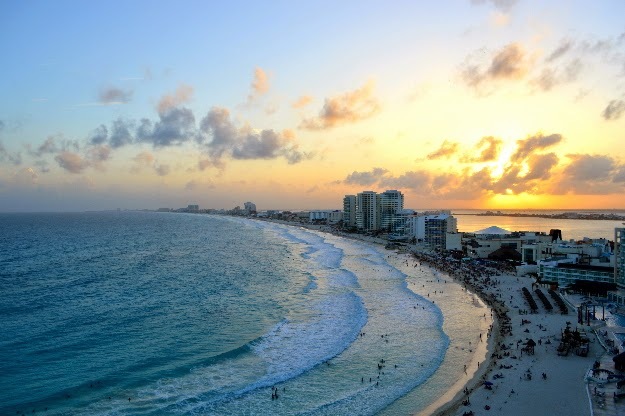 But for travelers with a little more wanderlust in their blood, a trip to Cancun can also offer a non-stop adventure for the thrill-seekers, outdoor enthusiasts, and history buffs alike. The following is our list of top picks of where to stay and can’t miss adventures. 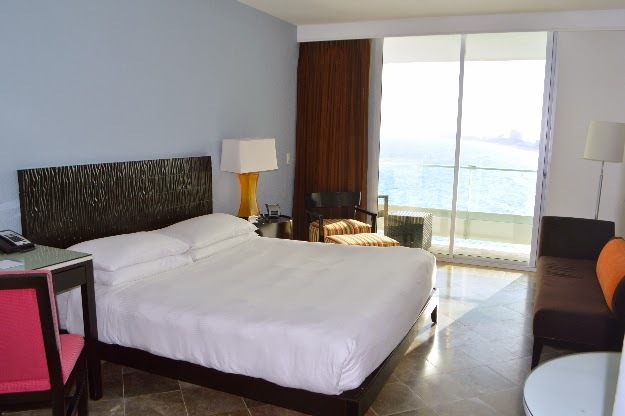 Tucked away in the premier Punta Cancun hotel zone, the new Krystal Grand Punta Cancun (formerly a Hyatt hotel) debuts as Cancun’s can’t miss beach resort and features brand new gourmet restaurants, unparallelled balcony room views, and an unbeatable semi-secluded beach with friendly cabana service. 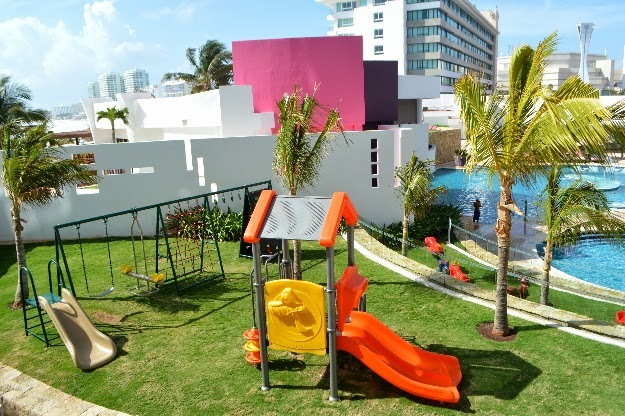 All this within steps away from Cancun’s touristic treasures and nightlife. Towering over the the white sandy point, this luxury hotel radiates elegance and sophistication. 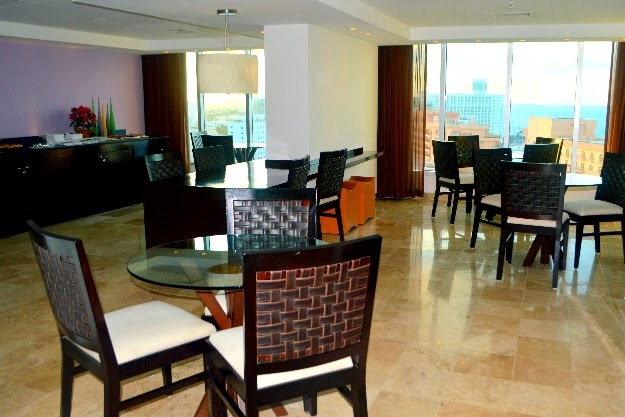 Located in the heart of Cancun’s hotel zone, the Krystal Grand Punta Cancun is nestled perfectly in the northeastern most point creating a feeling of seclusion and serenity, while still offering close proximity to all the buzz. 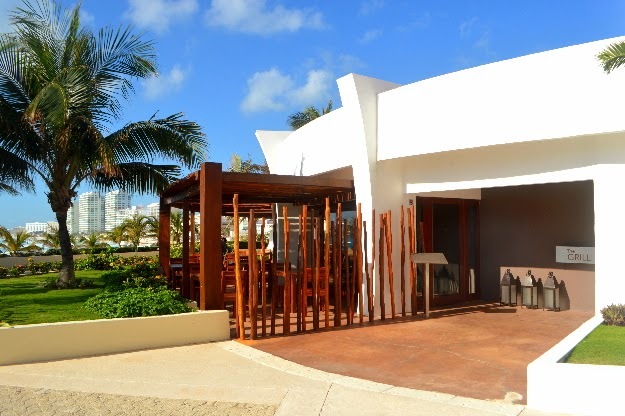 Krystal Grand Punta Cancun’s new business model of delivering true mexican hospitality, and a la carte service knocks it out of the park. Their staff is friendly and personable. 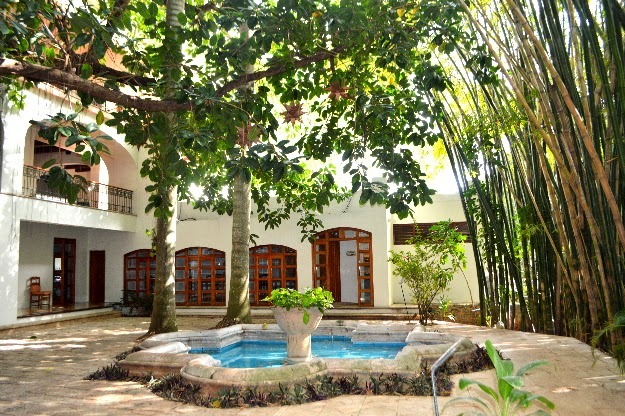 They also offer a new all-inclusive package, as well as room and breakfast, or room only options, all of which are sure to please. The atrium-style lobby is jaw-dropping. As much as you might want to play at the beach, you’ll have a hard time taking your eyes off of this architectural masterpiece. Each of the 295 deluxe rooms and suites offer a private balcony (with wall to wall sliding glass doors) with breathtaking views of the azure Caribbean Sea or Nichupté Lagoon where you will no doubt enjoy many morning coffees. 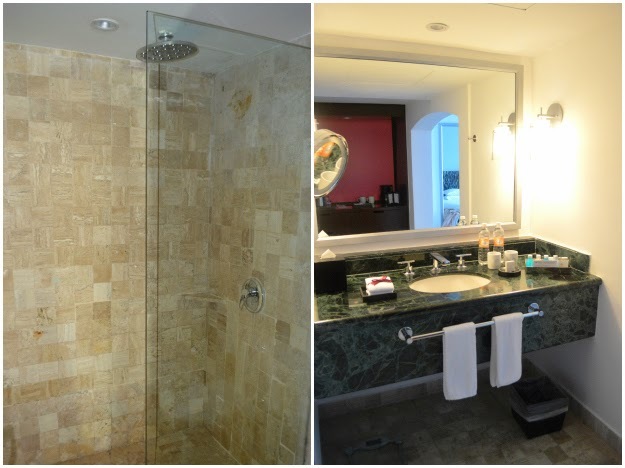 The deluxe rooms are simple modern and sleek and stocked with all the necessary personalized toiletries and services (bathrobes, hairdryers, etc). The one thing lacking is a refrigerator - if that’s something that’s important to you (the minibar remains locked until you access it). The refreshing rainfall shower is perfect for washing away the stubborn sand between your toes. Each room (as well as everywhere in the hotel) features wireless internet, which is a huge perk and can be surprisingly hard to find for such a popular tourist destination. Stay on the highest 3 levels of the resort and enjoy Altitude exclusivity. 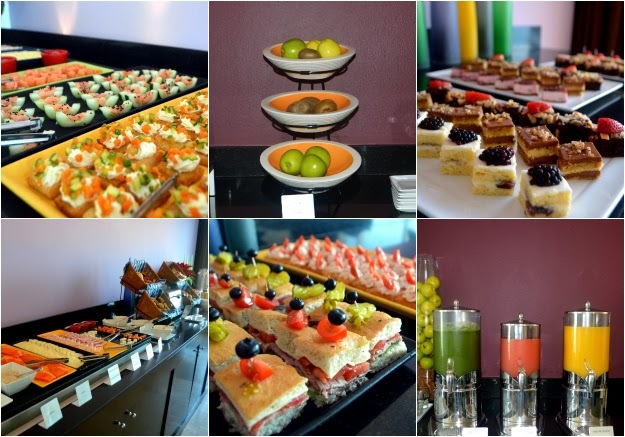 As a member of Altitude you have special access to the private Altitude Lounge which offers a personalized wait staff, delicious continental breakfast and evening drinks and hors d’oeuvres with a sunset view. 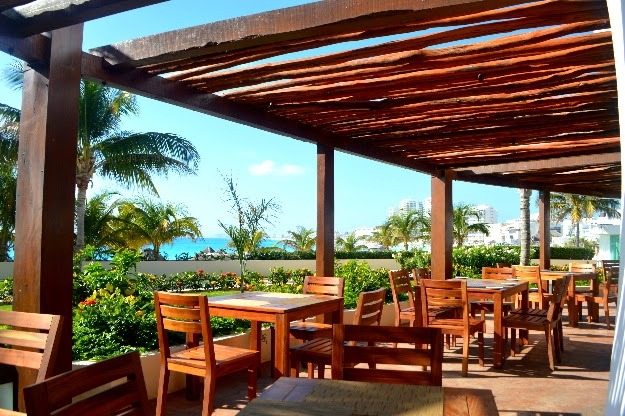 While you should never miss a chance to eat at one of the many restaurants on the property, it definitely comes in handy to have access to the lounge for quick grab and go mornings or for quiet relaxing evenings. 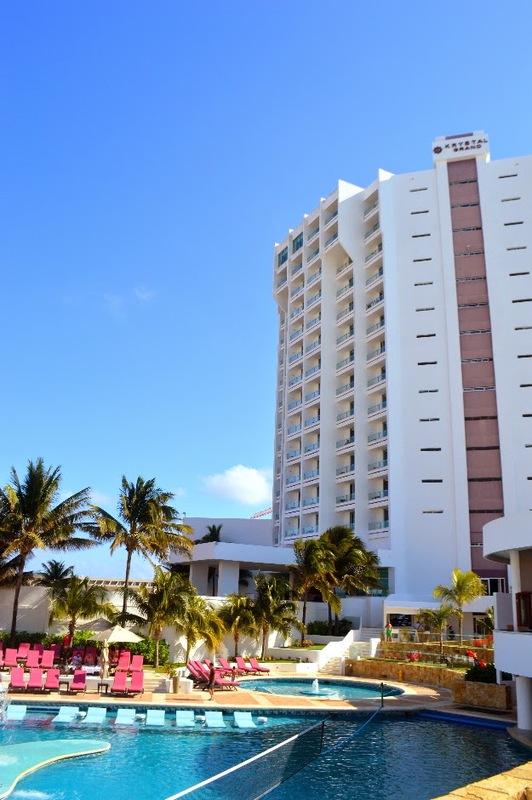 Krystal Grand Punta Cancun is without a doubt, situated on the best spot on the beach. 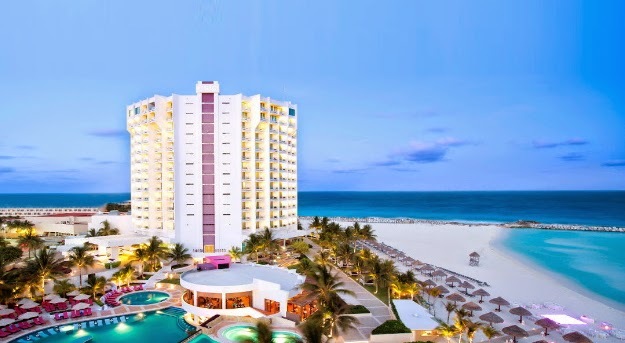 With it’s sister hotel Krystal Cancun to one side, and only ocean and sand on the other, the Krystal Grand Punta Cancun gives you a sense of seclusion that you won’t find anywhere else. Only from the point can you get the spectacular view of the entire hotel zone without the hustle and bustle of all the tourists. There are plenty of brand new bali beds and palapas speckling the powder sand, and the water is protected by cement breakers that creates for a safe swimming cove for those that are looking for a calmer sea experience. The resort features 4 separate pools including a brand new adult only infinity pool that is surrounded by bali beds on 3 sides. For relaxation sans sand, this is the place to be. The three other pools on the resort each feature something different such as waterfalls, volleyball nets, or a kids area. 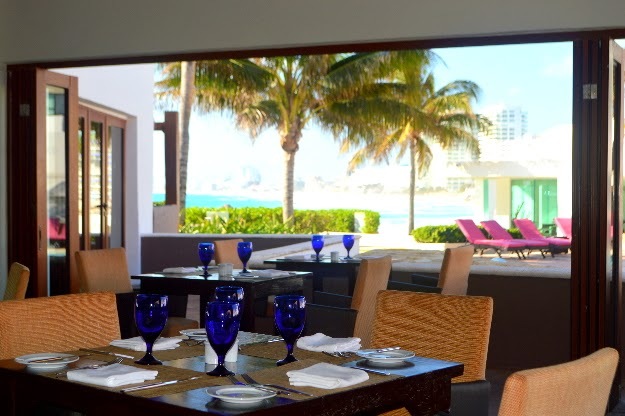 The top notch restaurants is really where the Krystal Grand Punta Cancun stands apart from other all-inclusive resorts. 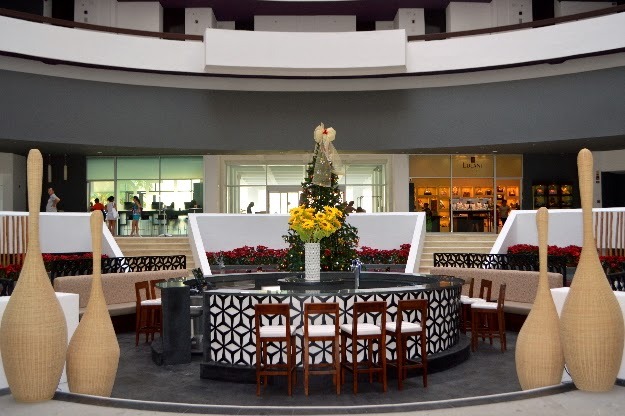 In the last month the Krystal Grand Punta Cancun has debuted a new Oriental and new Italian restaurant adding to their repertoire of other gourmet restaurants, each of which offer a la carte menus. The Grill with it’s indoor/outdoor seating options was our favorite for it’s ambiance and delicious angus beef and seafood. 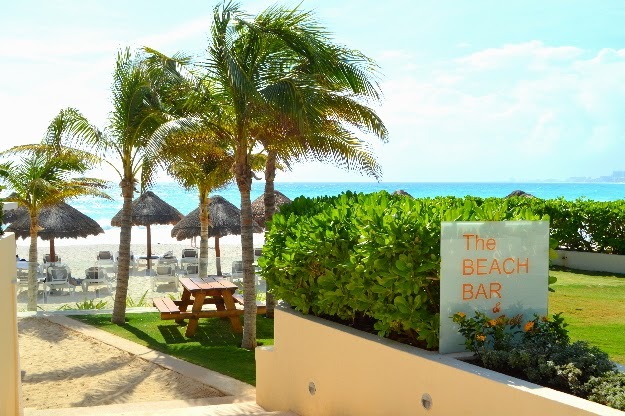 The resort also boasts 4 bars including a brand new lobby bar with occasional live music, a new terrace lounge, and a pool side bar. As if the resort did not offer enough food options, all-inclusive Krystal Grand Punta Cancun guests also have access to the buffet restaurants at the Krystal Cancun resort next door as well as the El Mortero restaurant a few blocks away where you can enjoy authentic mexican food and a live mariachi band- a definite must. Nothing completes a vacation like a deep tissue or relaxing facial. 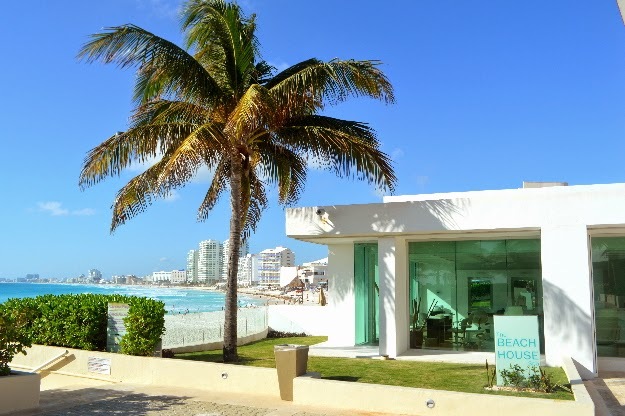 Krystal Grand Punta Cancun’s Beach House Spa is located right on the beach and offers a variety of services and at times offers discounts depending on the day service. 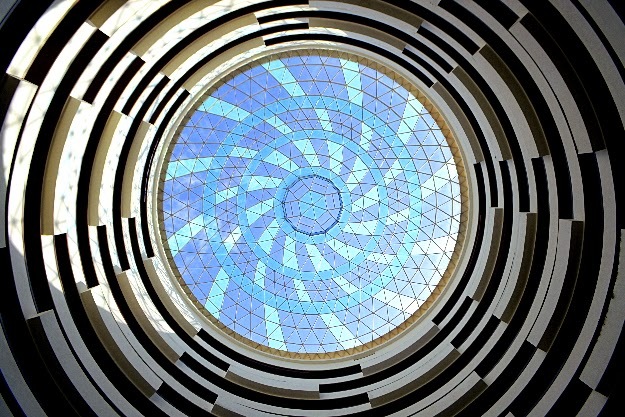 Re-branding a hotel can be a difficult undertaking, but what Krystal Grand Punta Cancun has done is praiseworthy, especially with its focus on improving the customer experience. The the combination of friendly service, new (and good) restaurants, the great beach with additional bali beds and beach chairs, you will feel like you never want to leave, but will be close enough to everything just in case you do. 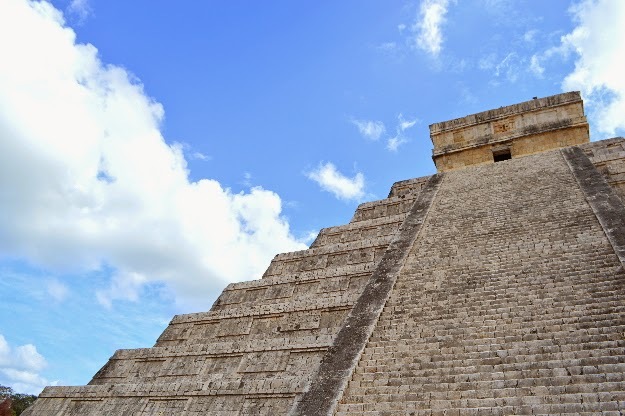 Ancient Mayan ruins scatter the Yucatan Peninsula but don’t miss out on the chance to behold Chichen Itza, by far the largest and most recognized site in the region. Named one of the New Seven Wonders of the World in 2007, this ancient Mayan city boasts impressive architecture that reveals incredible insight into how this civilization existed with staggering sophistication that was far ahead of their time. While it is a 2 hour journey from Cancun, it’s well worth the trip if nothing other than to just to cross it off of your bucket list. 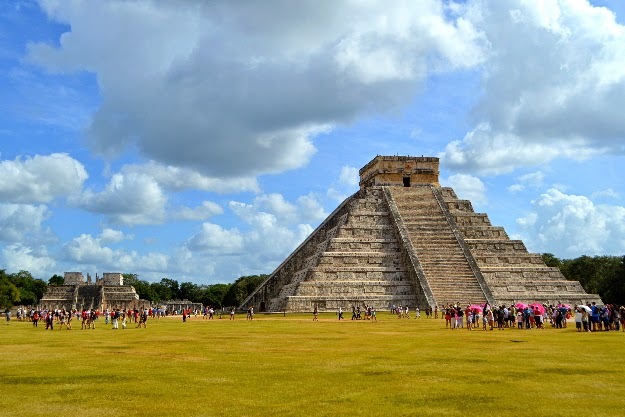 Because Chichen Itza is not exactly the best kept secret in the world (and for good reason) you can easily find a number of different tour companies itching to take you there. Gray Line tour company is one of the oldest in the business and offers several different ways to see this awe-inspiring place. 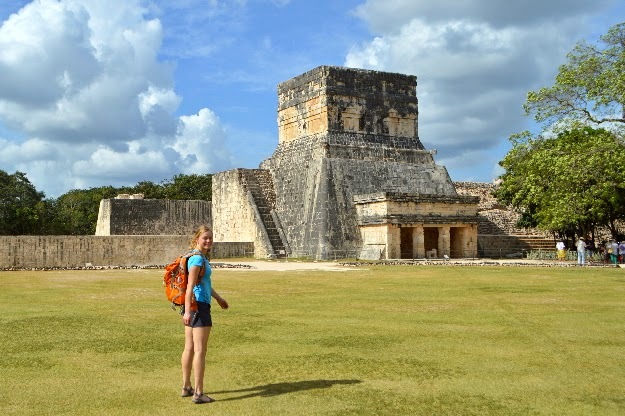 Our favorite package was their Chichen Itza Deluxe Tour. For a reasonable price Gray Line offers comfortable transportation to the site, a private back gate entry into Chichen Itza through the Hotel & Bungalows Mayaland (avoiding the sometimes very long lines), a two hour small group tour, and a multi-cultural buffet back at the resort. 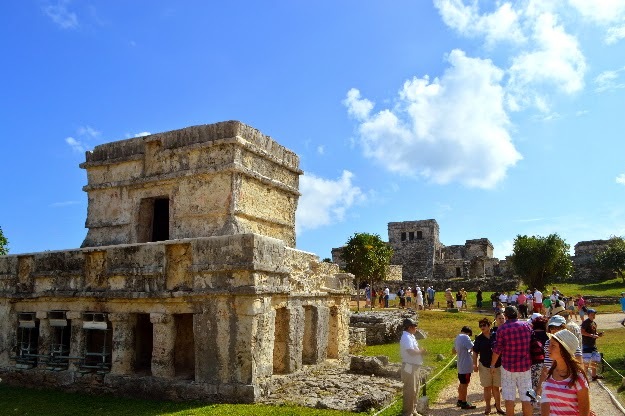 The tour also provides you with plenty of free time after lunch to either return to the ruins and visit the sacred cenote or lounge at the resort pool and enjoy the scenic gardens there - a perk you wouldn't enjoy if you were to use the main entrance. 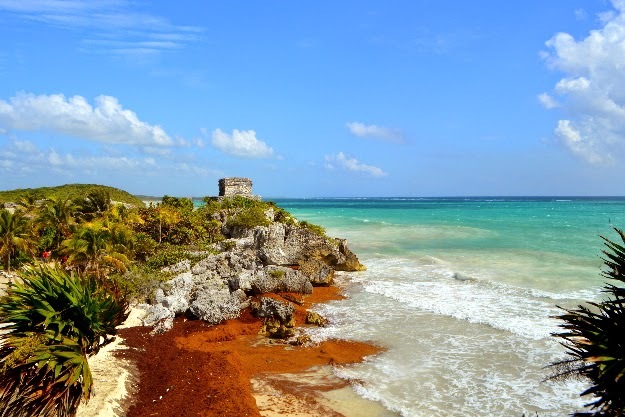 Tulum may not be the largest of the Mayan ruins of the Yucatan, it is certainly considered by many to be the most beautiful. 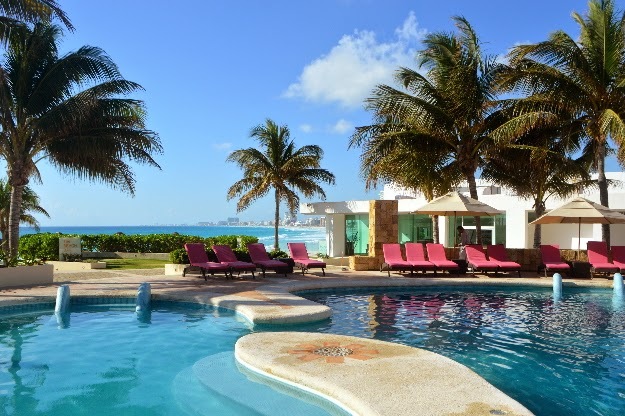 Set atop the cliffs overlooking the brilliantly blue Caribbean Sea, the ruins dazzle in the sunlight, a view that will surely leave you breathless. It is this mixture of the azure water and ancient Mayan culture that is the exquisite quintessence of the magical Yucatan. Within its stone walls, there are different structures thought to be temples devoted to the teaching and worship of the Descending God. Filled with so much original architecture, symbolism, and beauty it would be a shame to see this site without a tour guide. Our top pick by a landslide is Alma LDS Tours. 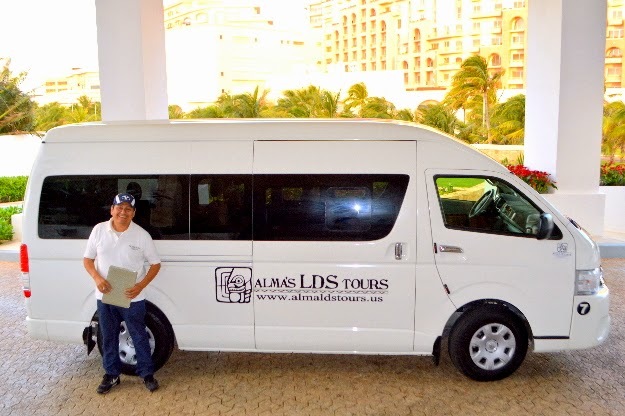 A local, family owned and operated company, Alma LDS Tours was the first to offer the unique tour experience of tying ancient Mayan history in with Book of Mormon scripture - a fascinating experience. But, if that doesn’t tickle your fancy, they also cater to non-LDS tourists who aren’t interested in getting scriptural information during the tour. And to be honest, either way you will be beyond impressed with Alma LDS Tours. Due to its background, this is a company of integrity which is manifest by their sincere desire to create the very best experience for their customers. 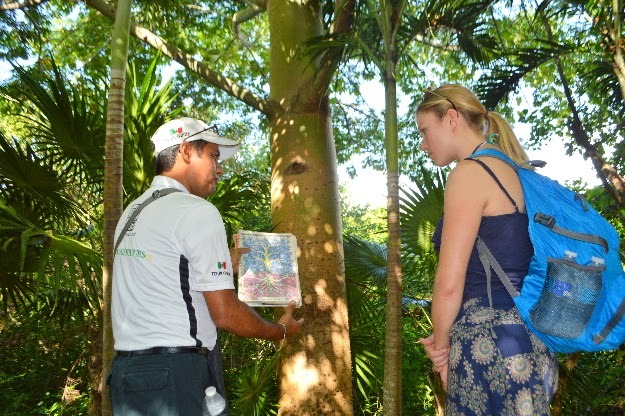 Their tour guides are kind and respectful as well as highly educated in Mesoamerican history. With Alma LDS Tours you will not feel like you are a part of a tour that’s simply going through the motions. 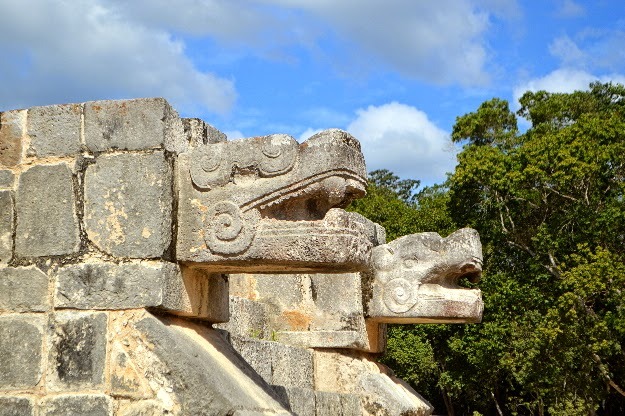 You will be delighted with the insightful historical information that brings the ancient Mayan culture to life. Alma LDS Tours offers dozens of tours throughout the Yucatan peninsula including combo tours that take you to different sites in one day, each of which would be absolute highlight of your Cancun vacation. Because everything is completely customizable for any size group and attraction, prices and schedules are not listed on their website. Not to worry, their customer service representatives are all very helpful and most importantly knowledgeable about the different tours and can easily help you join a tour or create your own for a very reasonable price. 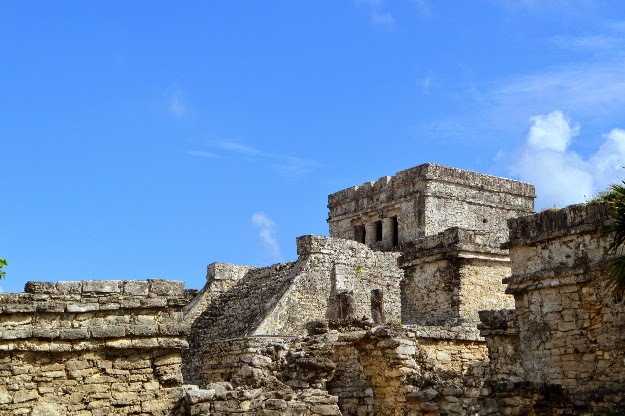 Our favorite was the Tulum Ruins & Cenote Tour which included hotel pick up and drop off, entrance fee, a 90 minute tour of Tulum’s ancient Mayan ruins, a light lunch, and finally a 90 minute stop at a nearby Cenote. It is sure to be excellent combination of activities for an unforgettable day. Those needing to cool off from the sun should look no further than escaping to the mysterious underworld of turquoise pools where ancient Mayans communicated with the gods. Feel lost in another time as you swim past stalactites and stalagmites in crisp magical caverns under a jungle-framed sky. These cenotes are scattered throughout the entire Yucatan Peninsula and all can be easily reached by private car or as a part of group combo tour like the Tulum Ruins & Cenote Tour by Alma LDS Tours. 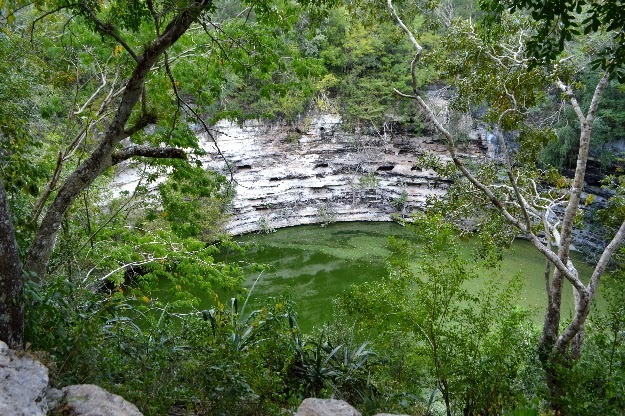 The name cenote means 'sacred well' and the Mayans revered these pools because they were a water source in dry times. The Mayans even settled villages around these spiritual wells and believed that they were a portal to speak with the gods. Today, many are owned by private parties that maintain the area and charge an entrance fee to enjoy the pools. 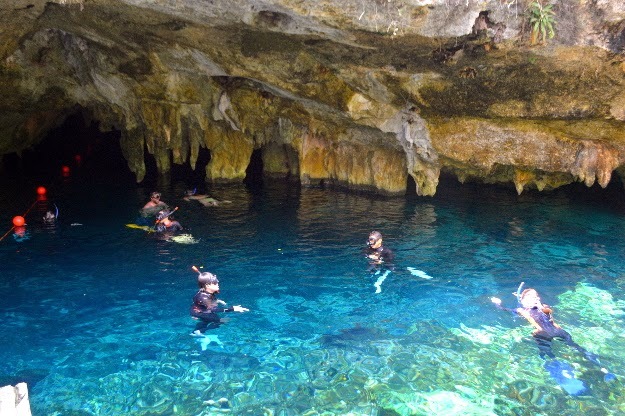 For those that are experienced scuba divers, the cenotes can be an unreal experience. 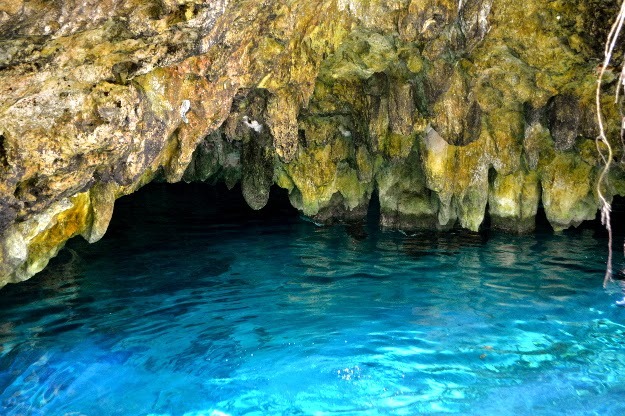 Otherwise, rent or bring your own snorkel gear or goggles and prepare to get lost in the peaceful beauty. No doubt your fingers and toes will turn prune-y before you’re ready to be finished. Just off the shore of the Yucatan Peninsula is the world’s second largest barrier reef, the Mesoamerican Barrier Reef System. 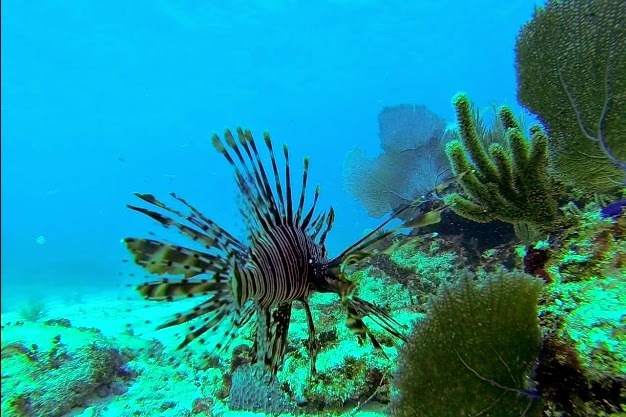 A short boat ride from Cancun takes you to the warm crystal clear water and abundance of vividly colorful marine life which makes for some of the best scuba diving in the world. 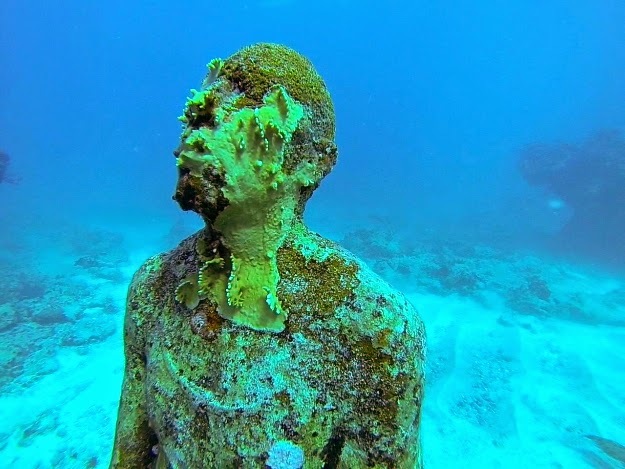 Aside from reef diving, the Cancun area also offers wall diving, wreck diving, and even cavern diving. 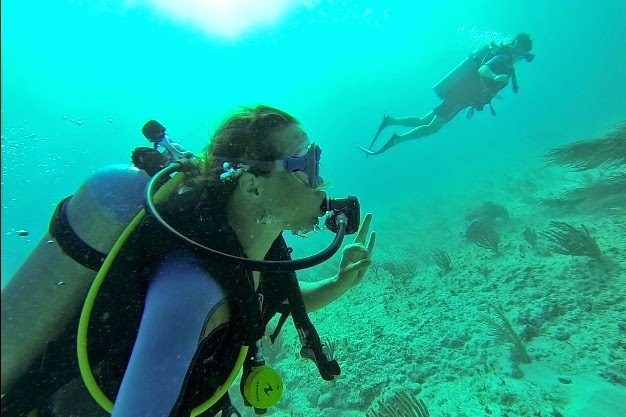 While the diving locations will be about the same no matter which company you choose to go with, not all scuba diving guides are created equal. 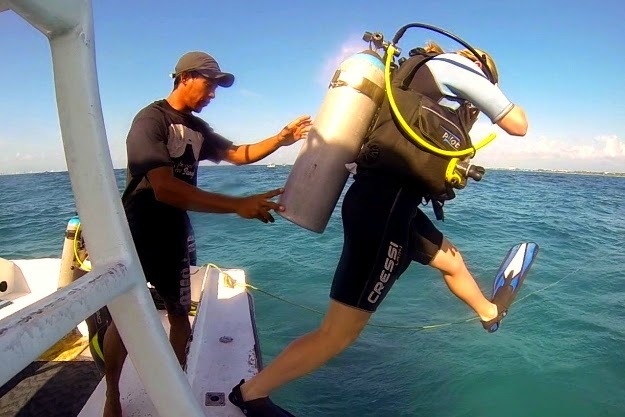 For excellent service and expertise, go with Scuba Diving Cancun. 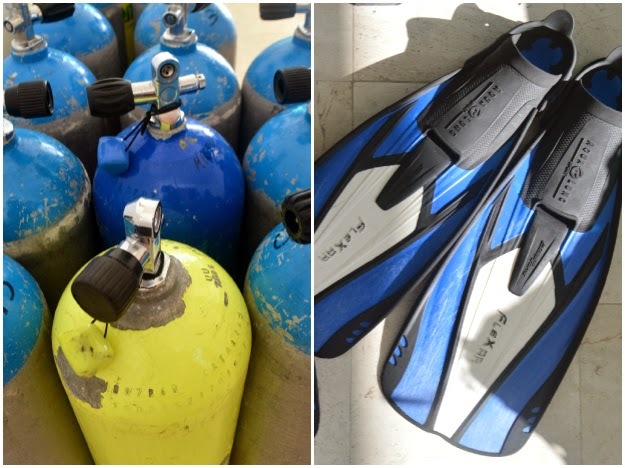 It’s an personable dive shop owned by a local named, Tony whose guides have considerble experience and know the dive destinations like the back of their hand. 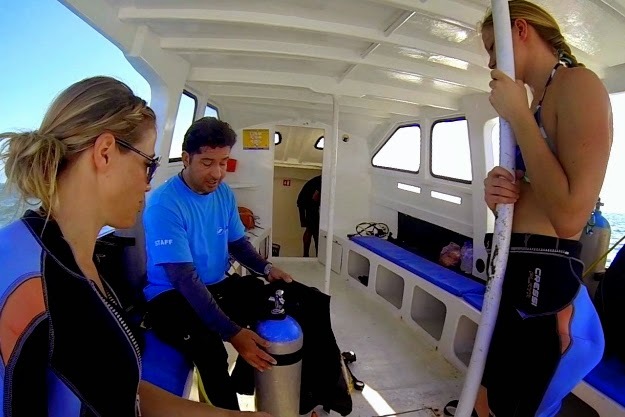 They offer transportation from your hotel and completely customizable trips for any diving experience, including certification classes (and even offer a light refresher course for those who haven’t been in a while). We were most impressed with the experience and professionalism of the staff. 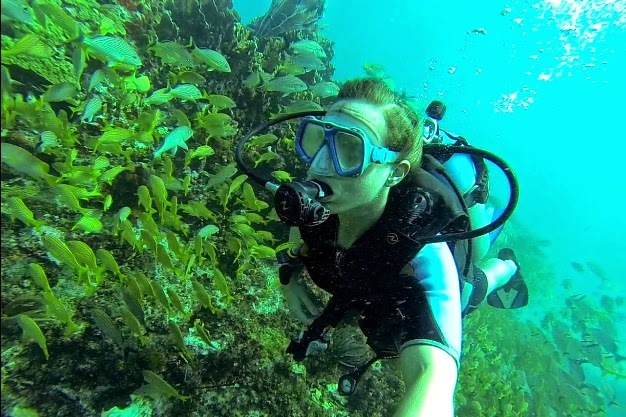 Scuba diving is an “extreme sport”, yes, but these guides show and teach reverence for the underwater world they gratefully explore. The safety of their divers and respect for the life below are numero uno. If all your life you've yearned to finally be able to pop up on a surfboard, then look no further than Cancun to make it a happen. 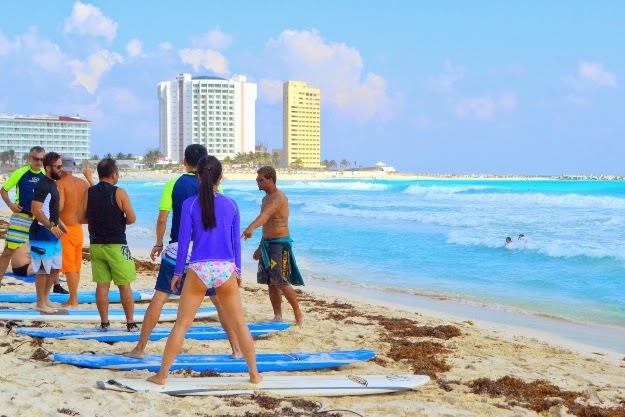 Unless you’re there during a hurricane, you will not be finding any big gnarly surfing waves due to Cancun’s shallow waters and sand banks. 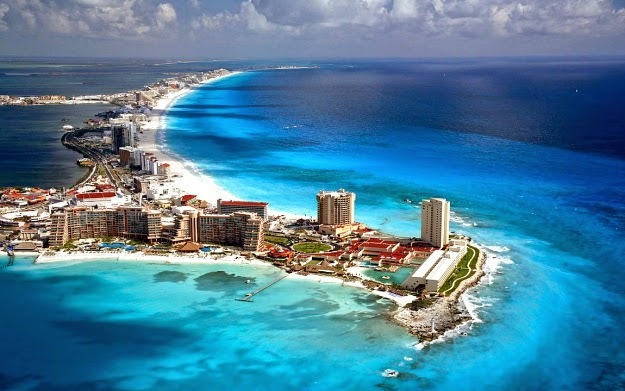 But with its pristine turquoise waters, white sandy beaches, beautiful year round weather, and gentle surf, Cancun makes for an ideal destination to practice water sports in the Caribbean. Because surfing can often be a daunting and challenging sport to learn, it’s smart to have professionals teach you the basics, critique your form, and give you some tips. 360 Surf School, which basically consists of a closet full of equipment next to a burrito shop, might not seem like much, but it’s run by a few enthusiastic surfing instructors who boast they can get anyone up on a board, or your money back. Not a bad gamble, if you ask us. The surf instructors there are personable and encouraging. They make safety and feeling comfortable in the water the first priority, with having a total blast a close second. 360 Surf School offers private or group lessons on the beach right around the corner from their shop and they include the boards rash guards so all you have to do is show up and have a good time.